Never be bothered with the question 'paper or plastic?' ever again! Our reusable Mika Grocery Bag is constructed of 100% recyclable, non-woven 80 GSM polypropylene. Each tote features a heavy duty bottom reinforced insert and 16 1/2" straps for a comfortable carry. 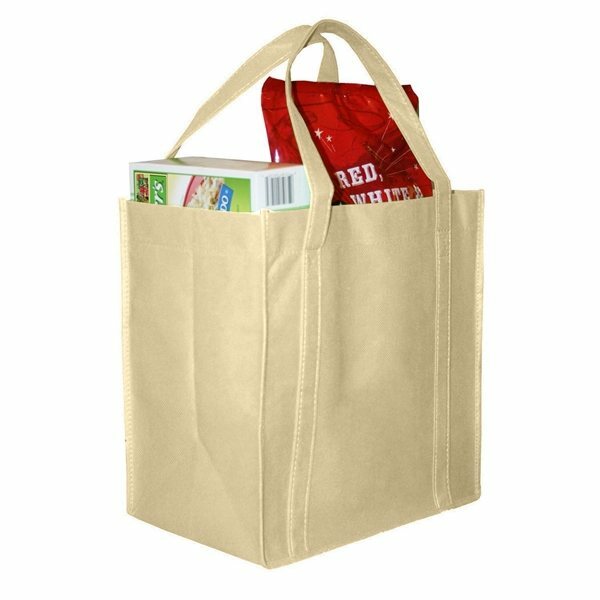 Great for promotional use, each tote is offered in several attractive colors and can feature a custom imprint of your choosing. Item delivered as expected. Love them! Everybody we give these to loves them - precisely the impact I was hoping for!! Excellent product and value. Items arrived and looked just like what was shown to us online. Very great with how our logo looked on the product. 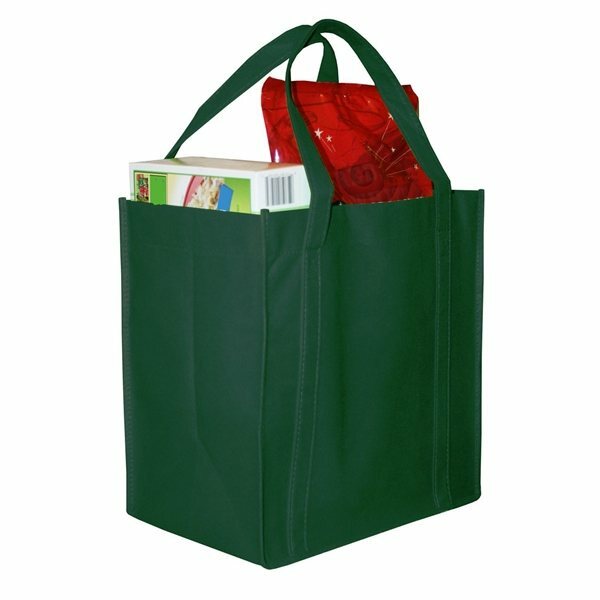 It has a very understated elegance and is very durable. the product was exactly what I ordered. thanks for helping our business! It was what we expected.